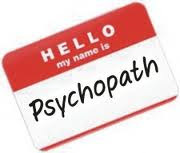 Psychopathic Writings: I'm a Psychopath, and I'm on The Internet. I'm a Psychopath, and I'm on The Internet. Since I first decided to see how people would react to me if I told them straight out that I'm a psychopath - on the Internet, and incognito, that is - I've learned a lot about human behavior. That is, mostly I have had confirmed what I already knew. But when I first started my Psychopathic Writings project I was still new to the Internet and had only had a few experiences with setting up an email account and do a few searches, surfing for news and such, and until around 2 years ago I had virtually no experience with computers what so ever. 9 months ago I had never posted a message on a comment board or in a forum, I knew nothing about common behavior on the Internet and had only heard small fragments about it via the news and on TV, so I had no experience with how my knowledge about human behavior translates to the Internet. I spend some time getting a basic understanding of how the internet works and how people behave in general. I noticed that psychopaths not surprisingly behave pretty much on the Internet the same way that they do off the Internet - they don't tell others about themselves, even though they can do so fairly safely and anonymously - so I decided that since I would no doubt be cleared of my own diagnosis in a few months - this was during the months while I was being assessed one last time, this time on my own initiative, and for my own money, and I was sure the result would be a recantation of my psychopathy diagnosis - I would have nothing to loose from saying I had the diagnosis in the meantime. And so I set out to see how people would react if I told them that I'm diagnosed as a psychopath. - I chose to do it in an environment that was geared toward debates that have to do with psychopathy or related conditions. And I found a few forums that seemed promising. The first three forums suspended my account as soon as I had told about my diagnosis, even though I made a rule of doing it in relation to a debate or a question where it was relevant, or even perfect. I"m very interested in what you've discovered. And I for one am happy to have your perspective. You're very self-aware and insightful which is something that I appreciate. How do Psychiatrists generally go about diagnosing someone who exhibits symptoms of psychopathy? I would imagine most law abiding psychopaths/sociopaths never come forward to a psych as they want to blend in. I am myself have recently found that I'm devoid of love, empathy, and all emotion. The catch is I've always obeyed the law. I'd just like to officially know what I am and maybe why I'm the way I am. Would it be unwise for me to do this at all? Psychopaths think they are above the law. Interesting, but surely no one cries about any sort of insult on the web. Speaking of which, what do you know about how some people say, that psychopaths sometimes have crying spells out of frustration or anger? It could be possible. I've been very interested in psychopathy lately, so I'm glad to have discovered your blog. I read The Psychopath Test by Jon Ronson, and just started on Snakes In Suits. Both books talk about psychopaths almost as if they're a different species. It's interesting to hear the other side of things. Have you ever genuinely cared for another person? Can you give us some musings and possible insight on the Casey Anthony case? "Speaking of which, what do you know about how some people say, that psychopaths sometimes have crying spells out of frustration or anger? It could be possible." Yes, everyone cries. Doubtful the socio would cry in front of others as they despise weak emotions and realise that they will lose respect if seen doing it, remember as arrogant as sociopaths are, it's not about what the socio wants to see, it's what YOU want to see. When they want to impress parole boards. if you're thinking about seeking assessment, I would not encourage you to do that. It has too dark and unpredictable implications. If you're interested, I may be able to assist you. You're welcome to send me a line (you can find my email address under Contact). If you don't feel comfortable with the idea, I understand. I wish you the very best of luck! "Psychopaths think they are above the law." "surely no one cries about any sort of insult on the web." You'd be surprised! Not only do people cry over minor stuff, it is also possible to do really damage to others on the web. 'Crying spells': Yes, it happens, it certainly does! Especially when I was younger this sometimes happened if I was completely cut off from any other means of outlet. I've seen adult male psychopaths cry, no often, but it has happened. It doesn't last long though, and it's not a stream of tears - more like eyes get red and maybe one or two tears spill. I think Ronson is exaggerating this behavior to show the reader how absurd these attitudes and behaviors are - or I hope that's why he does it, lol. "Doubtful the socio would cry in front of others as they despise weak emotions"
You seem to be mixing up narcissism with sociopathy and sociopathy with psychopathy, and vice versa. It isn't the most constructive way to go if you want to communicate knowledge. I don't know where you have you knowledge from, but I can tell you it is wrong. Not everybody cries. There're people who are born without tear ducts, f.x. - There are people (mostly males) who haven't cried a single tear after their 15's birthday, even though they cried as children, and they don't have to be psychopaths. "[religious] When they want to impress parole boards." I don't think that was what she meant. You're talking about using a technique to obtain a goal that isn't religious in nature. You're not addressing the questions you seemingly answer. You seem to be talking to hear your own voice. But that's alright - for now anyway! "s"
Can two psychopaths (a woman and a man) have a relationship with each other and get married? I'm curious. . . I believe I have a co-worker who may in fact be a psychopath. Her name is Georgia. I have no idea why my boss hired her. Our jobs require us to have a valid driver's license and Georgia does not have one but somehow she got hired anyways. At first, no one was a big fan of her but now it seems like more and more people in the office like her and will do anything that she asks. One of my other co-workers gives her rides around the city to help her get her job finished. Georgia is not good at her job. I can tell this and so can Lucy, another one of my co-workers. And yet somehow Georgia manages to get our boss to look the other way. Many times Georgia has attempted to usurp me and take over my position. Fortunately, I know a con when I hear one and I make sure that she doesn't get what she wants. Recently, Georgia and one other person convinced our boss to have positivity meetings where we have to compliment someone else's work. The only one in my office who complimented me was our boss. I think Georgia may be trying to isolate me from the rest of my co-workers. I still have Lucy though. Lucy is one of those types who don't take any crap from anyone and isn't afraid to tell them so. Georgia has a huge ego and thinks that she is the most wonderful and most talented person on the earth. She even made up a Facebook page dedicated to how awesome she thinks she is. Does it sound like Georgia may be a psychopath? If so, what should I do to deal with her? Thanks. I have been writing a story about a psychopathic character which has been inspired after my very long genuine interest in Psyhopathy. Your blog- I read often. There is just one question have in mind- Like they showed dexter- have you cared so genuinely about other people? like he did for his sister, rita, his father and son? I really require the info because I do not want to do a half hearted work with my character. Can you please help me?